Éric Préfontaine is a key contact for our National Class Action Defence group, and an experienced class actions practitioner in the Québec bar with specialized expertise in the defence of consumer protection, product liability and securities matters. While leading the firm’s class action matters in Quebec, Éric also consistently brings his expertise to multi-jurisdictional matters for firm strategic clients. In addition to his leading role in class actions, Éric’s commercial litigation practice includes advising clients on highly complex commercial litigation and representing them before commercial and civil courts, administrative tribunals and in arbitration proceedings. His practice includes disputes in a wide range of expertise, including: securities, shareholders, product liability, banking and financial services, franchising, consumer protection and insolvency and restructuring. Eric also has experience in urgent and special procedures such as injunctions and seizures. 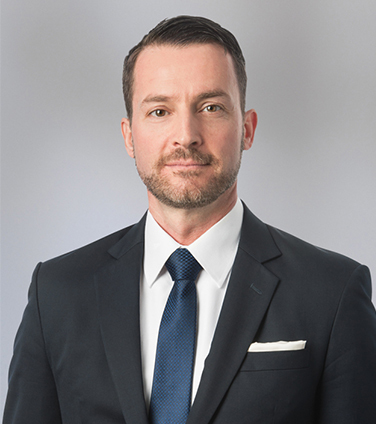 Éric is recognized as a leading litigator in Chambers 2018, Dispute Resolution: Québec; The Best Lawyers in Canada 2015-2018 in the area of Corporate & Commercial Litigation; in Best Lawyers in Canada 2018 in Class Action Litigation, and as a Litigation Star in Benchmark Canada 2018. Shoppers Drug Mart and Pharmaprix Inc.– defence of a class action concerning the right to unilaterally modify a loyalty reward program and the application of the Consumer Protection Act. Valeant Pharmaceuticals International Inc. and certain of its board members, in connection with a proposed class action and an authorization request to bring an action in accordance with Article 225.4 of the Securities Act brought by shareholders. Valeant Pharmaceuticals International Inc., in connection with a proposed class action regarding product liability. Manulife Financial, in connection with a proposed billion-dollar class action lawsuit regarding the sale of mortgage insurance products. Amex Bank of Canada, in the $300M class action regarding foreign exchange conversion fees charged on credit cards (dismissed on appeal). Irving Oil, in its successful defence against a motion for authorization to institute a national class action regarding alleged miscalibration of distributor-type fuel pumps. General Motors of Canada Limited, in relation to various actions brought by former Quebec dealers following out-of-court restructuring by GM Canada in 2009-2010. Imperial Tobacco Canada Limited, in the files related to the Quebec Medicaid action taken by the Quebec Government against tobacco manufacturers (constitutional challenge to the Tobacco-Related Damages and Health Care Costs Recovery Act – to proceed on the merits in October 2013 – and defence to the $60B lawsuit filed by the Quebec Government in June 2012). Bank of Montreal, on appeal of a judgment in favour of the trustee of a former borrower as a result of an alleged abuse of rights. Canadian Bankers' Association, in relation to the References to the Quebec Court of Appeal and the Supreme Court of Canada regarding the jurisdiction of the Parliament of Canada to create a National Securities Regulator. Aveos Fleet Performance Inc., in relation to a major arbitration regarding the aborted implementation of an Enterprise Resource Planning system. PricewaterhouseCoopers, in the recognition of foreign bankruptcy proceedings against George Marciano (founder of Guess Jeans). Atomic Energy Canada in the context of a $230M dispute against Hydro-Québec regarding the life extension project of a nuclear power plant. Chambers Canada: Canada’s Leading Lawyers for Business, 2018-2019: Litigation: General Commercial (Quebec). The Canadian Legal Lexpert Directory, 2018: Repeatedly Recommended, Class Actions. The Canadian Legal Lexpert Directory, 2018: Consistently Recommended, Litigation - Corporate Commercial. The Canadian Legal Lexpert Directory 2014: Litigation Lawyers to Watch. Benchmark Litigation Canada, 2017-2019: "Litigation Star", Class Action. The Best Lawyers in Canada, 2015-2019: Class Action Litigation. The Best Lawyers in Canada, 2015-2019: Corporate and Commercial Litigation. Who’s Who Legal - Litigation - Future Leaders, 2018. Éric has made presentations at a number of conferences in high schools regarding the profession of lawyer and the justice system. Éric is the partner responsible for the annual Give-a-Day Campaign at Osler Montréal, raising funds to support various programs to help victims of HIV/AIDS in Africa. Moderated session "Navigating U.S. and Canadian Cross-Border Evidentiary Issues: Current Trends, Critical Analysis and Successful Strategies" during and co-authored paper “Obtaining Evidence in Canada for U.S. Litigation" presented at the Cross-Border Litigation Forum in New York City on September 12, 2012. « Vers un libéralisation de la preuve appropriée avant l’autorisation? », conference presented on October 29, 2009 during the Annual Conference on Class Actions organized by The Canadian Institute..